I’m Laura Fischer. I live in Ontario, Canada and Clara and Edna were my grandmothers. For a very long time, my dream has been to build my own house and live in the woods and after moving around many times for the past seventeen years, I’m ready to actually do it. For work (and fun) I develop and design websites, and since I have a bunch of research do to in order to build my own house, I may as well put it all in a website. Clara (Nana) was my Dad’s mother. She grew up in Ontario, worked in a glove factory during WWII, then married my grandpa, and together they built a house on a dairy farm. I grew up on that dairy farm until I was sixteen. We had a giant vegetable garden, and together my Nana and parents kept the cellar stocked with canned peaches, pickles, fruit relish, jam, frozen butter, and jars of homemade soup. Edna (Nan) was my Mom’s mother. She lived for 95 years and raised fourteen children in Newfoundland. 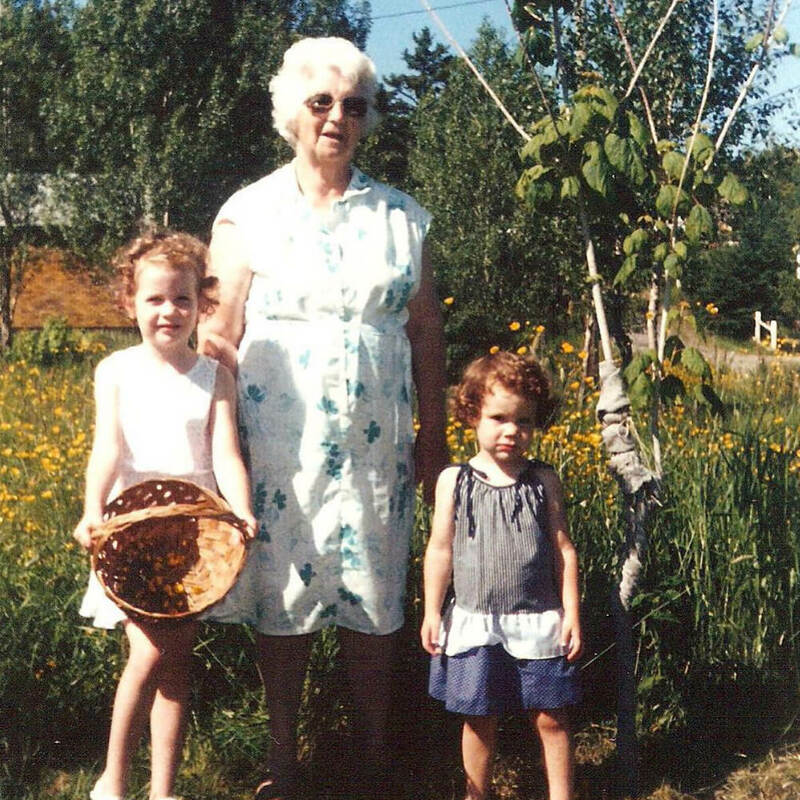 I mostly remember summer visits with her and Pop in their little house in Comfort Cove. In their small basement, next to Pop’s shop, was an abundance of homemade cabbage rolls, moose meat, and bakeapple, gooseberry, and blueberry jam. She had a lovely garden of flowers there, and we could run across the road, down the hill and put our feet right into the ocean (or at least the bay that leads to the ocean). The plan to build a home and garden where I can grow food, makes me feel connected to them in a way I didn’t expect, and so I’m naming my blog after them, Clara and Edna.